Best Location on the Market in Regal Palms Resort. 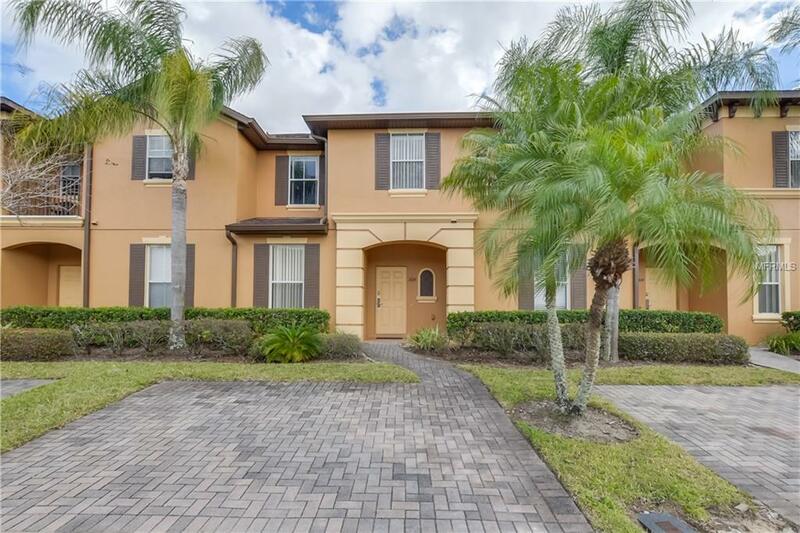 Just 3 minutes walk to the clubhouse, this fully furnished, recently upgraded 3 bedroom 2.5 bathrooms townhome boasts all the comforts of home nestled in a tropical setting with recreational amenities including resort style swimming pool, lazy river, waterslide, sauna and a zero entry pool for the little ones. The Guest Services is open 24 hours and Frankie Farrells Pub & Grille has just opened onsite for food and fun for all ages.Regal Palms Resort & Spa is conveniently located in the middle of it all just 15 minutes from the Main Gate of Walt Disney World, 30 min to Universal Orlando and 35 min to LEGOLAND. Additional Lease Restrictions Short Term Rental Community. You Are Not Required To Use On Site Property Management Company. Vrbo & Air Bnb Are Allowed. Pet Restrictions Pets Are Not Allowed For All Short Term Guests However Owners Are Allowed To Have Non Aggressive Breeds Max 2 Pets Under 60 Lbs.